Although non-profit organizations are not obligated to provide benefits for part-time employees, offering health insurance to your part-time and full-time employees is a great way to show your appreciation. You may also want to offer health insurance to avoid a penalty under the Affordable Care Act. Group health insurance for non-profits is an affordable way to attract highly qualified applicants, minimize employee turnover, and avoid penalties due to recent health care reforms. Here are some important things you need to know about group health insurance for non-profit organizations. 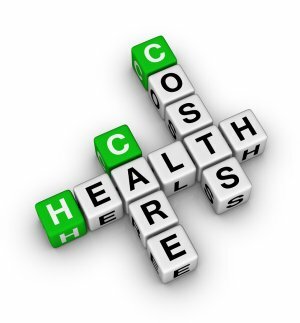 The Affordable Care Act is a major consideration for all employers, non-profits included. There is currently no requirement under the ACA for employers to provide health insurance. However, your organization may be penalized if you have 50 or more full-time employees and do not offer group health insurance. Besides avoiding a penalty, offering health insurance benefits are a consideration for prospective employees, especially the best and brightest candidates in the field. In 2010, federal legislation included a provision that grants small employers, including non-profits with fewer than 25 employees, the right to receive a Small Business Health Care Tax Credit for insurance premiums paid by the employer for their employees’ health insurance. For tax-exempt non-profit organizations, this credit comes as a 35% refund on quarterly payments made to the IRS for income tax withholdings or Medicare withholdings from employee wages. When shopping for group health insurance, look for an insurance provider that specializes in non-profit insurance policies. Non-profit organizations have special needs, so work with an insurance provider in New York City that understands what your organization needs to be successful without blowing your budget on group health insurance, directors and officers insurance, and general liability insurance coverage.